Peru is home to one of the great wonders of the world, Machu Picchu. But are there any other ancient secrets for health, beauty or well-being waiting to be discovered? In Lima, Rachel meets Chef Palmiro Ocampo at Mercado Surquillo No.1, where superfoods have been on the menu for generations. Nutrient-rich grains, fruit and vegetables have been a stable of Peru’s diet since the time of the ancient Incas. Fresh Cacao, Lucuma, and purple corn are just a few of the natural Peruvian superfoods. Peru is a paradise for biodiversity and ingredients. Before venturing up the mountains, Rachel joins model, Debra who is convinced she will enjoy a drink made from clay. Maggie from Depura keeps Peru’s ancient traditions alive with homemade beauty and health tonics. To tackle altitude sickness, Rachel tries a tea made from Coca leaves. In Cusco, spiritual well-being plays a big part in the local’s lives and customs. Local shaman Adrian takes Rachel through an ancient Incan tradition called a flower bath ceremony, that starts with an offering to the goddess, Panchamama. From the moment you arrive in Cusco, you notice the colourful, textile patterns worm by the men and the woman. These handmade patterns are a striking part of their indigenous culture. 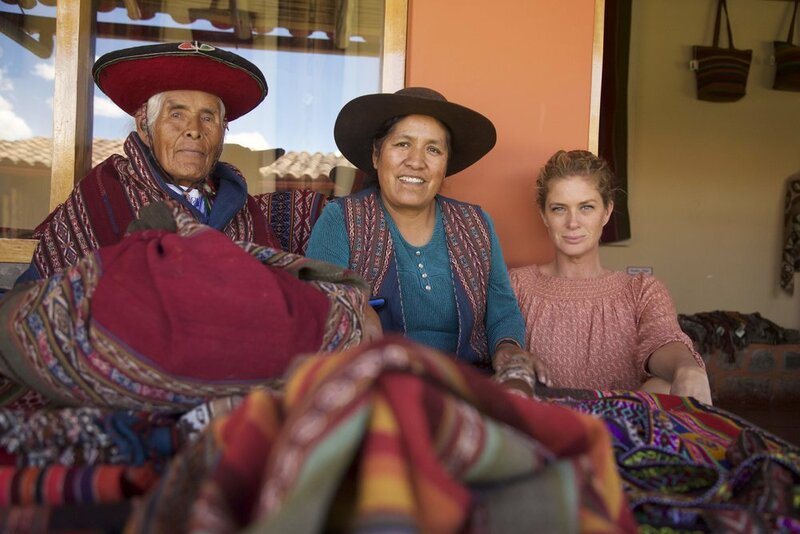 Rachel travels to meet some of the women that make these garments and learns about the natural plants and incests that have been used to create such intense colours. To prepare for the altitude sickness, Rachel stocks up on Coca tea and other medicinal herbs, including Muna, valerian root, and Ortega, at a local market. But to Rachel's surprise, she is given Arcilla, which needs to be mixed with urine to activate.